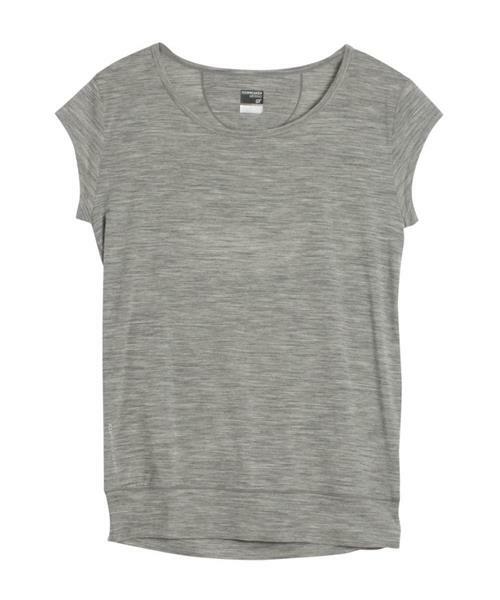 A stylish, relaxed fit top with an open back design and Icebreakers super-soft merino wool corespun fabric, the Sublime Short Sleeve T is ideal for studio workouts, and makes a perfect cover-up or comfy, airy layer for a night out with friends. Their corespun fabric uses nylon fibers wrapped in merino wool for added strength and durability that maintains next-to-skin softness. The wide flat waistband makes for versatile styling and keeps the top in place, while the open back lends a feminine touch and improves range of motion. Layer up with the Tiki Bra for maximum style.